​The best way to have a fighting chance is to know your rights. Exercise your right not to make incriminating statements. Always have your license and registration easily accessible whenever you are driving because that is usually the first request when pulled over. Understand that saying you only had a “couple drinks” is what everyone says and leads to more questions and field sobriety tests. Trying to pass field sobriety tests even when sober is like trying to win a prize at the carnival- much harder than is appears. 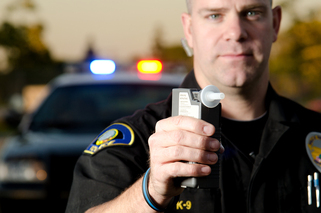 So what should you do if stopped for DUI in North Carolina? 1. Have you license and registration readily available at all times to the hand to the officer. 2. Do not have gum or mints in your mouth as they are seen as a clue that you are trying to mask the smell of alcohol. -Have you been drinking tonight? 4. Understand you may refuse to answer questions and admitting to having even one drink will be used against you in Court. 6. The next thing you can expect is the officer shining a light in your eyes to check if they are red shot. 7. If they ask you to count backwards- YOU SHOULD REFUSE. 8. If they ask you to walk a straight line- YOU SHOULD REFUSE. 9. If they ask you to stand on one leg- YOU SHOULD REFUSE. 10. If they ask you to blow into a portable alcohol sensor. YOU SHOULD REFUSE. A common DWI myth is that you can’t refuse these tests or that if you refuse to blow into the portable alco-sensor you will lose your license. FACT: You may refuse any and all DWI sobriety tests. If they have probable cause to arrest and you refuse to blow into the Intoxilizer downtown or in the portable BAT mobile then you may be subject to a one (1) year civil revocation of your license. I am often asked by clients if they should blow downtown. This is a difficult question to answer as there is the one (1) year civil revocation penalty that may result if you refuse to blow. Should I blow in the intoxilizer? 1. Always remember you can and should call a witness. 2. Wait the full 30 minutes before they arrive before you blow. 3. Rinse your mouth out with water before you blow to eliminate any mouth acohol that may skew results. 4.The longer you blow the more air comes from deep in your lunges that has a higher concentration of alcohol. 5. Recognoze that if you refuse to blow a magistrate may order a blood sample taken without your consent.